Figured we need a thread for folks to show any modifications to there new copters. Will start with mine. Cut down the legs since I will be using a Mobius camera on mine. Will buy another set if and when the software comes out to use a gopro to watch as you fly. For now, this will work. Will help reduce wind drag. Won't let me edit my post so will post a pic with the camera mount underneath to show how much room there is. Cool idea if your just sport flying. Im working on mounts to move the legs out further cause they seem to keep getting in the video clips when using the gymbal. Just because its there doesn't mean its for sale. Very nice! Is there any way you can take a shot of how you mounted the möbius for me please? That looks really sleek! The mobius comes in thursday. The camera mount has a huge piece hanging down that is removable. Once I removed it, there is a slot I might be able to use to slide it in but won't know for sure until I get it. Will post a pic once its mounted. Supposed to be better weather next weekend so hope to be flying and recording. Last edited by bearcatrp; 01-17-2016 at 09:56 PM. Are you afraid the stuff on the top will fly off during flips? It's all down with velcro. I've got 8 full flights zero issues. Flips and all. The goggles change whole experience. I just wish the range was farther. Thats my problem i don't think i can wait I've been researching fpv equiptment all week, what kind of goggles or monitor do you use? Ive been leaning towards something cheaper in hopes Traxxas pops there head out and releases "true fpv" not some go pro compatible wifi framing appratus. So i might stick with the quantium diy goggles. I got the predator kit goggles transmitter and camera. What's the max range of the Aton? Yup, although you can change that. No idea what the real limit is. Isn't it adjusted by a slider in the android and iOS app? You would think they would only allow it to go so far, and or have a note written in the manual. So the safety net is 500' but your transmitter can control it farther than that, is that correct? Not sure what the real world limit is, and yes the app lets you control with slider or turn it off completely. You can change the limits in the app but not sure I would select unlimited from what I have seen messing around with the app. The limits are there to go into recovery mode if you break the boundaries. I changed recovery height to 100 feet in hopes it wont hit something on return. One thing I do not understand is, do we need the app running when we make these changes or does the aton record this in memory? How much weight did your setup add to the aton? In my experience with the geofence turned off you still only have around 700ft then the go home takes over. This evening I will take the range finder and give an exact distance. Wish it was further. That is much farther than you can see well. But I run the Aton Fpv with goggles and you reach the limit of the transmitter quick. The Aton saves the settings and then you can exit the app. The weight is negligible, can't tell a difference. Yes it can but not much. *There is a certain website and their brands that are banned. Refrain from referencing them. Last edited by Double G; 01-28-2016 at 08:59 AM. 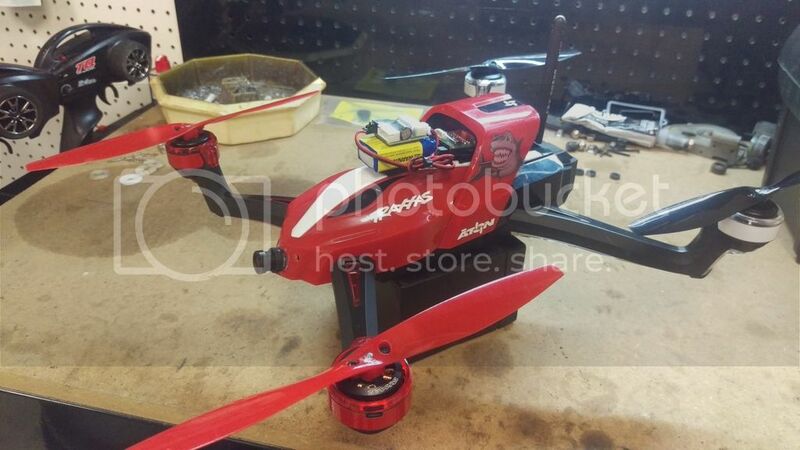 OK so I am a new user of the aton , I bought this to use as a fishing drone . Is there any channels that can be changed to possibly control a drop release for the line ?